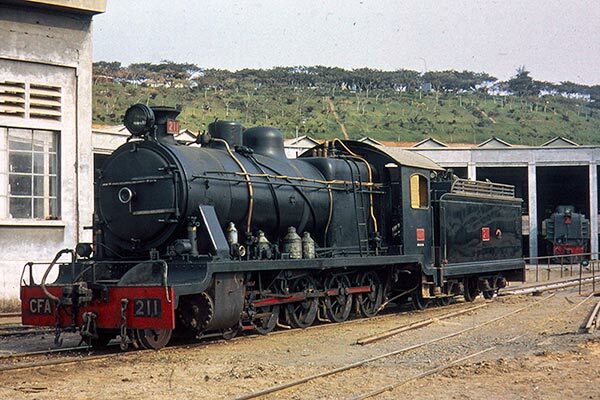 Caption - Caminho de Ferro de Angola (CFA) 4-8-0 no.211 seen in 1973. Angola was a Portuguese colony at the time and the cleanliness of the locomotive reflects the 'home' country. The loco was built by Armstrong Whitworth (563/1923) and is seen at the main depot in Luanda. The loco survived until it was scrapped in October 2010 although it had been out of use for many years.